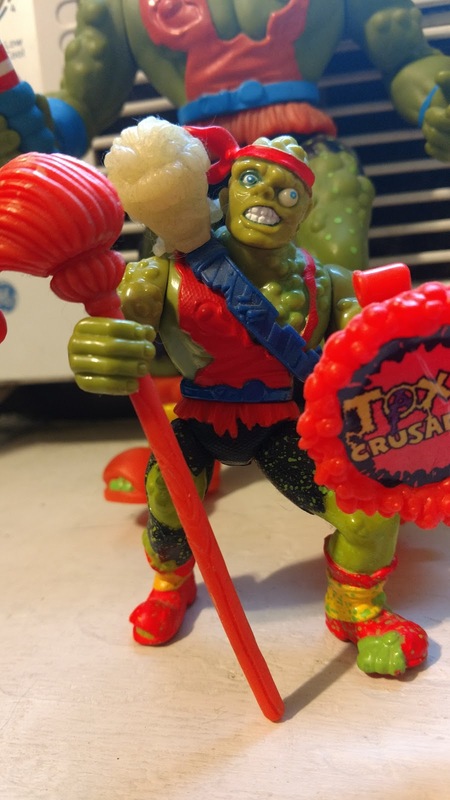 Reverend Guimo's Blog: Toxic Crusaders figures announced from Super7! I'm so psyched! 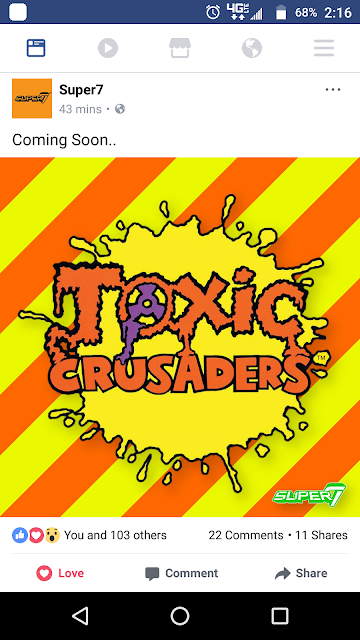 Toxic Crusaders figures announced from Super7! I'm so psyched! 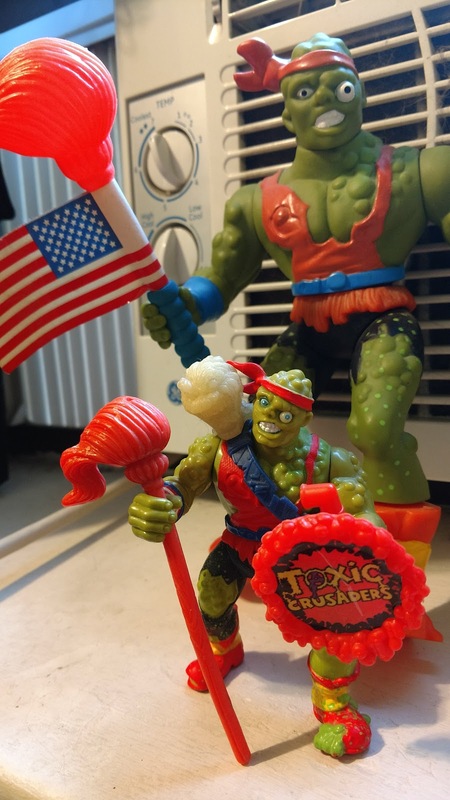 So the "Toxic Crusaders" was my favorite cartoon when I was a kid. I had the toys, video tapes, ate the candy, and watched the USA Cartoon Express as religiously as I attended Sunday School. Some of my earliest and best childhood memories are attached to that show. On Facebook a few days ago it was announced that Super7, an amazing toy company that makes all sorts of amazing stuff, will now be making new "Toxic Crusaders" action figures. This is HUGE news for a guy like me. There are no new images, just the "coming soon" post. No prototypes or toy design art available as of yet either. So, all we can do is speculate. Will it just be a new Toxie figure, or will we have an entire new line? Will toys that were never produced but rumored finally be made? I.e., Toxie's Mom, Mayor Grody, Yvonne, Smogula, Snail Man, Mower Man, and Toxi-Cab??? AAAAARRGGHHH I need to knooowww!!! The original Playmates figures were works of art. Hefty plastic, individualized splatter colors, glow in the dark accessories, and amazing sculpts. They were just the greatest and I still have my very first Toxie with me to this day. I even have the giant Chinese bootleg Toxie that the late, great Joe Fleishaker told me about at one random convention in Brooklyn where I first met him. Both are just cherished artifacts of my youth, and I am beyond excited to see what Super7 makes! All I know at this point is whatever meager earnings I make will be diverted towards this new line of figures. From what I've seen Super7 makes high-quality adult collectors type of vinyls and figures, so I have to step up my game. I doubt these will retail at normal action figure prices, but I'm also certain that it will all be worth it.